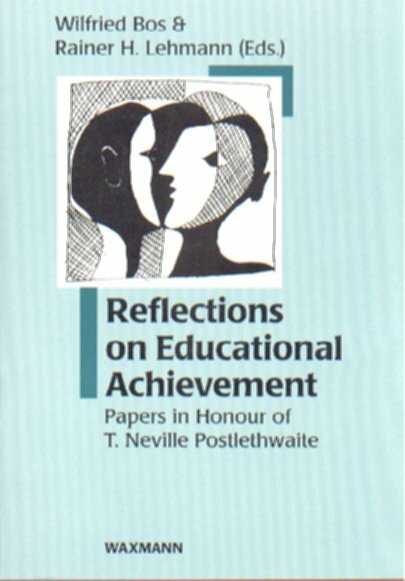 This book is dedicated to T. Neville Postlethwaite, an outstanding scholar who in March 1995 retired from his professorship at the Institute of Comparative Education at the University of Hamburg. It contains a number of articles by authors who have accompanied him during various stages of his life and work. The contributions represent different fields of research, ranging from educational psychology to issues relevant to educational policy making. They also display a variety of different methodological approaches. This wide spectrum will help the novice educational researcher to become familiar with the classical, as well as recently developed, techniques and applications in the field of educational achievement. The expert may enjoy this anthology as an influence which T. Neville Postlethwaite has exerted both as an academic teacher and researcher. This book may also be called up directly online. Klick on the title to download the article. Wilfried Bos: International Summer Language Courses: Their Role in Learning to Appreciate Multiculturalism and Developing a Sense of "Europeanness"
Rosine Lambin: What can Planners Expect from International Quantitative Studies? Renate Nestvogel: School Education in 'Third World' Countries: Dream or Trauma?